A controversial and highly publicized bill introduced last year in the California Assembly that would essentially ban orca captivity in that state is down, but not out. The Dodo has learned that Assemblyman Richard Bloom (D-Santa Monica), chief sponsor of AB-2140, the "California Captive Orca Welfare and Safety Act," has decided not to push for a full vote on the legislation in 2015, largely because the current Assembly Speaker, Toni Atkins, a Democrat who represents a section of San Diego that includes SeaWorld, would not allow a vote. Atkins was elected to the powerful Assembly speakership in 2014 for a single two-year term. A new speaker will be elected in 2016. The bill, introduced by Bloom last March, would ban "performance-based entertainment" for the 10 killer whales in California - all of them at SeaWorld - end captive orca breeding and the import and export of genetic materials, and prohibit the import and export of any orca in the state. If enacted, the bill would mandate retirement of the 10 whales to enclosed sea pens in the ocean. "AB2140 will not be reintroduced this session, but this is a temporary delay," Naomi Rose, a killer whale expert and marine mammal scientist at the Animal Welfare Institute, wrote to activists, scientists and journalists in an email on Wednesday. "As many of you know, the current political climate in the Assembly, with Speaker Toni Atkins having SeaWorld in her district, is difficult for this bill, so Assembly member Richard Bloom has chosen to wait for 2016." "The important thing for all to understand is that the bill is not dead," Rose said. "It is delayed." AB2140, which was drafted with input from anti-captivity activists including Rose and others, and received intensive media coverage, was sent to the Assembly's Water, Parks, and Wildlife Committee for a hearing last April. Prior to and during that hearing, it became apparent to Bloom and other supporters that the bill would not make it out of the committee, and the legislation was tabled pending an interim study. 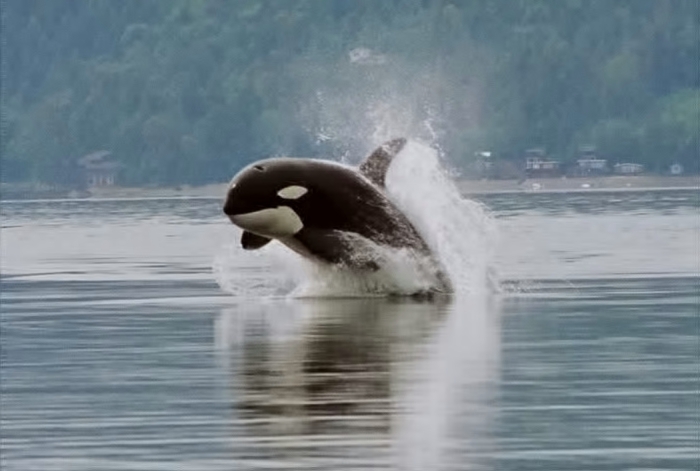 "The public support for ending orca captivity has been overwhelmingly positive." Bloom said at the time. "One petition gathered 1.2 million supporters and another petition received more than twenty-five thousand supporters. However, the issues are complex and the committee took the responsible approach to make sure we have the answers to all questions before we move forward. Moving this to an interim study will allow us to demonstrate that the science supports ending orca captivity and to clear up the gross misconceptions that have been thrown into the debate." "While the captivity of marine mammals is an important issue, the committee is currently conducting extensive hearings on the historic drought, implementation of the Water Bond, and reforming California's park system," Levine told The Dodo. "I fully support efforts to protect our wildlife and believe that this issue needs to be explored." Supporters of the bill note that Atkins has introduced legislation to ban the sale of ivory in California as a measure to protect wild elephants. 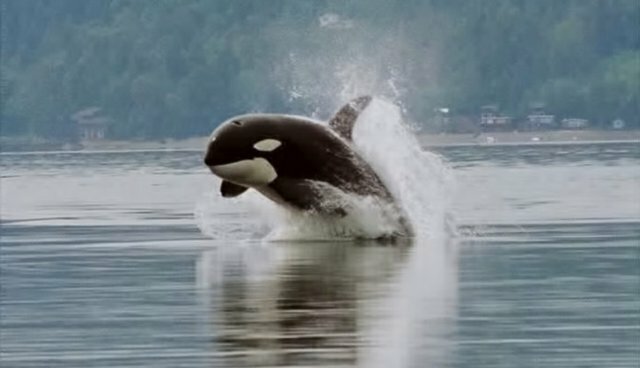 They say that a ban on orca captivity would send a strong moral message to countries like Russia, where killer whales are still being caught for use in public display, threatening populations in the Sea of Okhotsk. They also say the Speaker should support legislative transparency by backing a hearing on the orca bill. "It's unfortunate that politics is affecting the ability of a timely bill about an important animal welfare issue to move forward in the California Assembly," Rose told The Dodo. "All the same, the silver lining to this delay is that it gives the Assembly time to review the issue carefully and thoroughly." "If you are in California, please contact Speaker Atkins and Chair Levine (go here for contact info) and politely ask them to allow a hearing on the bill and the interim study, as a matter of transparency," Rose wrote to bill supporters. "Please be polite: I cannot emphasize enough that angry or discourteous communications will be counter-productive. Let's make 2015 the year we build a rock-solid case for AB2140, making it impossible NOT to pass in 2016."